Lemongrass adds a fragrant flavour and is commonly used in Asian cuisine. 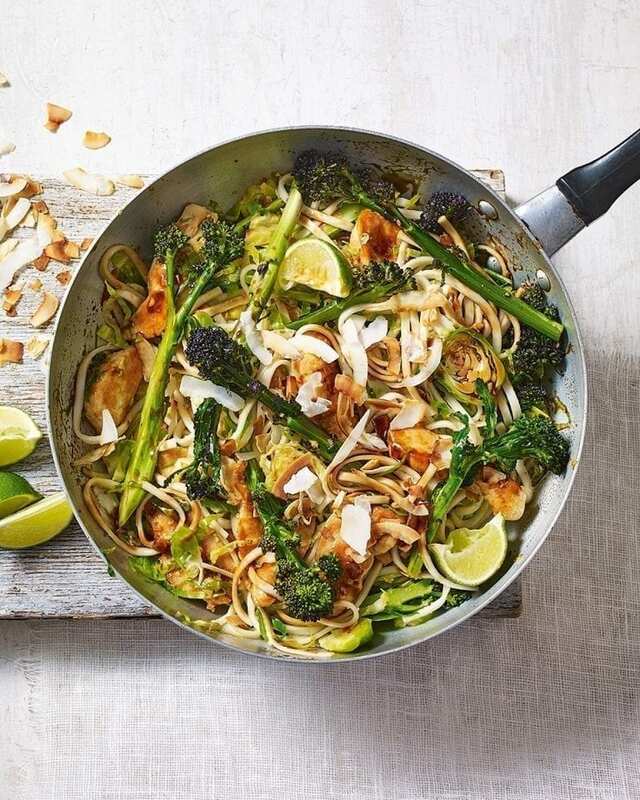 Find out how you can use leftover lemongrass in your cooking. When making lemon curd, infuse a small, bruised stick of lemongrass into the lemon juice when warming it, for a subtly different citrus flavour. Finely chop 1 small lemongrass stick, a thumb-size piece of ginger and 2 garlic cloves. Mix together with 1 tbsp soy sauce, 2 tbsp vegetable oil and 1 very finely chopped shallot. Add a large handful of sustainable, shell-on prawns and turn to coat in the marinade. Marinate, covered, in the fridge, for 30 minutes. Heat a grill pan until smoking, then cook until pink and completely cooked through.